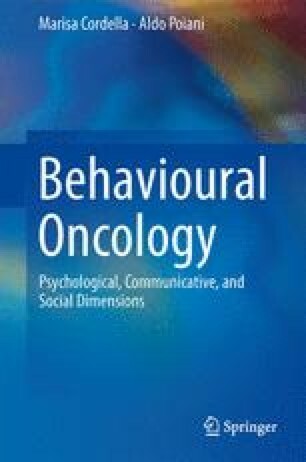 In the previous chapters we analysed the interconnections between physiology, behaviour and cancer and also the associations of cancer with additional and more complex psychological faculties. At the individual level, however, we can venture into even more sophisticated aspects of our mind to understand how cancer can also affect and/or be affected by them, directly or indirectly. Consciousness of self, others and our relationships with our surroundings in the present time, over the past and towards a projected future, provides the basis for our perception of existence. This existential dimension establishes a major foundation for our sense of being humans: Who am I? What is my purpose in life? Where is my existence directed to? What have I achieved in life so far? What is the meaning of others?